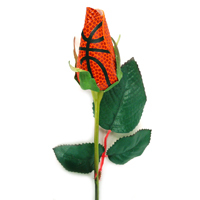 Carry your passion for basketball in your back pocket everywhere you go. Introducing the basketball wallet, made from real basketball material. 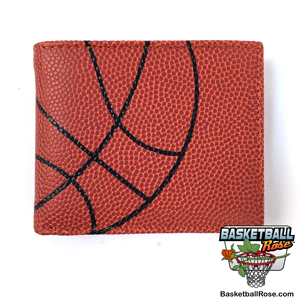 The outside of this durable basketball-themed wallet features a basketball print design that spans both sides of the wallet. The inside of the wallet boasts a flip out ID holder, 9 credit card slots, and a plastic holder for photos. 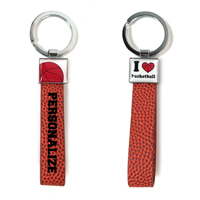 We can also personalize one side of the baskegball wallet with your favorite basketball player's number. The basketball wallet is perfect gift for him - football fans, players, and coaches. 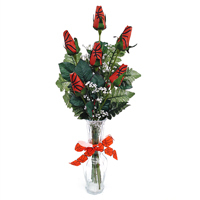 Optional Customization: 2 digit number printed with athletic-style font in black print. Dimensions: 4-1/4" x 3-1/2" x 1/2" when closed.